During the CSA Board Meeting held November 16, 2018, the Directors approved to amend the Gate Entry Policy. From January 30, 2019, commercial businesses entering Sea Pines must display their company name and phone number on both sides of their vehicle. This lettering may be applied with paint, vinyl lettering or magnetic material. All lettering and numbering must be at least two (2) inches high. This does not include Real Estate and other professionals stated by the Director of Security. For questions concerning this signage requirement, please call Dispatch at: 843.671.7170. 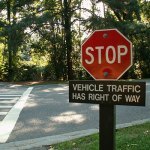 Beginning Thursday June 1, 2017 the minimum daily gate entry fee for commercial vehicles entering Sea Pines will increase from $6 to $10 per commercial vehicle. This $10 fee will cover the daily entry cost for the commercial vehicle and up to one trailer. Starting January, 2018, commercial weekly passes are available for purchase at the entrance gates at a fixed rate of $40 (with or without a trailer). Please note, larger commercial vehicles are subject to a higher daily entry fee. 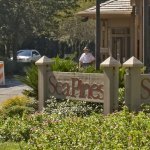 The Sea Pines community is open to commercial service providers as determined by the Sea Pines Gate Entry Policy and specific hours of operation for commercial service providers are to be observed. To reach the Sea Pines CSA security office for questions related to this policy change please call 843-671-1343 (843-671-7170 after hours) or email info@csaseapines.com. 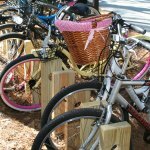 Service providers can gain entrance into Sea Pines by purchasing a daily or weekly commercial pass at the Greenwood Gate and Ocean Gate. Annual commercial passes can be purchased from the CSA Administration Office, located at 175 Greenwood Drive, 7:30 am – 4:30 pm. Click here for 2019 Annual Pass Renewal information. There are two entrances into Sea Pines. 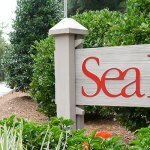 The main gate is located on Greenwood Drive off of Sea Pines Circle and the Ocean Gate is located off of Cordillo Parkway. 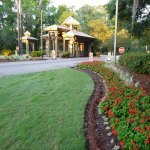 When entering Sea Pines through the Greenwood Gate, to purchase a gate pass please use the right-hand lane. Service Providers are permitted in Sea Pines from 7:00 am-7:00 pm Monday- Saturday. With the exception of commercial cleaners, property managers, pool companies and restaurant delivery companies (fast-food companies only), no commercial work is to be performed on Sundays and selected holidays, which include Thanksgiving Day and Christmas Day. 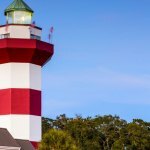 To request access during non-commercial work hours from 7:00 pm to 7:00 am the Sea Pines Property Owner must contact the Sea Pines Security Dispatch office at 843-671-7170 to make an access request for the service request. Entry fees/vehicle pass usage for service providers still applies during non-commercial work hours from 7:00 pm to 7:00 am and Sundays.